I’m currently listening to the washing machine in our kitchen squeak away, as it desperately tries to spin but unfortunately can’t muster the strength to revolve as it should. He and his helper were great guys, really friendly, nice and seemed to know a bit of what they were talking about. Brilliant! They came in, fixed what needed fixing, and went on their way. Unfortunately, the story doesn’t end happily. 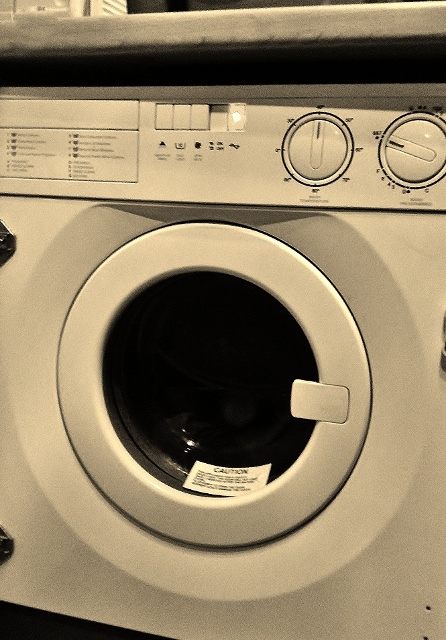 the next time we needed to use the washing machine, we discovered it was still painfully trying to spin around (as a washing machine generally does), and just not able to make it. And now as I hear it squeaking away (sounds worse than it did before! ), I’m reminded about an important lesson of leading, building teams, and gifts. There are tons of people out there. There are tons of people that may know a little about this and a little about that. There’s also a lot of people out there who like to think they are an expert in something, when in fact they are a generalist in something. Experts are well placed, well competent, trained if necessary (or show hints of expertise during training), called, and are in their ‘sweet spot’ when exercising their strength in their particular arena, role, or job. Generalists are OK or good at more than one thing, but not necessarily expert in it. In many ways we are all generalists. In music I am a generalist. I can play a bit of guitar, know most chords, but couldn’t get up and join our worship teams on a Sunday. I’m a generalist at administration. I can keep my own diary (just about! ), I can do a basic excel spreadsheet and manage various administrative tasks at work. But I am no expert at administration. A generalist may talk a good talk about a subject, and may be a really nice person, but they simply won’t be as good at certain tasks as an expert would. Seek the experts, don’t settle for a generalist.